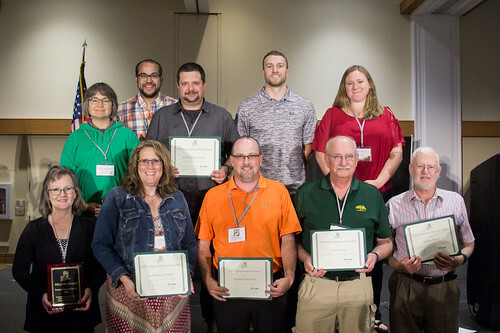 The awards program of the Soil and Water Conservation Society is designed to recognize individuals and organizations who have made outstanding contributions in advocating the conservation of soil, water and related natural resources. The award category selection key will help you place your nomination in the awards category that best fits the nominee's accomplishments. Answer the questions sequentially until you are led to the appropriate award. Incorrectly placed nominations will not be considered for recognition. Award applications are due by 11:59 PM CT on March 29, 2019. Questions about SWCS awards? Contact 1.515.289.2331 ext. 112 or email awards@swcs.org. The Soil and Water Conservation Society has three scholarship opportunities for all members. Many other opportunities for scholarships are available through individual chapters. Contact your local chapter directly for information regarding those scholarships. Please note that you must be a member of the Soil and Water Conservation Society for at least one year to apply for these scholarships. The Awards Committee will evaluate and rank applications. Recommendations will be presented to the Board of Directors for final approval. Recognition of all scholarship recipients will be made at the Soil and Water Conservation Society International Annual Conference. Scholarship applications are due by 11:59 PM CT on March 29, 2019. Questions about SWCS scholarships? Contact 1.515.289.2331 ext. 112 or email awards@swcs.org. View the Awards Program (PDF).